April 12, 1965, was historic in Major League Baseball for one reason: It was the first National League game at the Astrodome, a Houston victory over the Phillies that ushered in a new era in sports architecture. 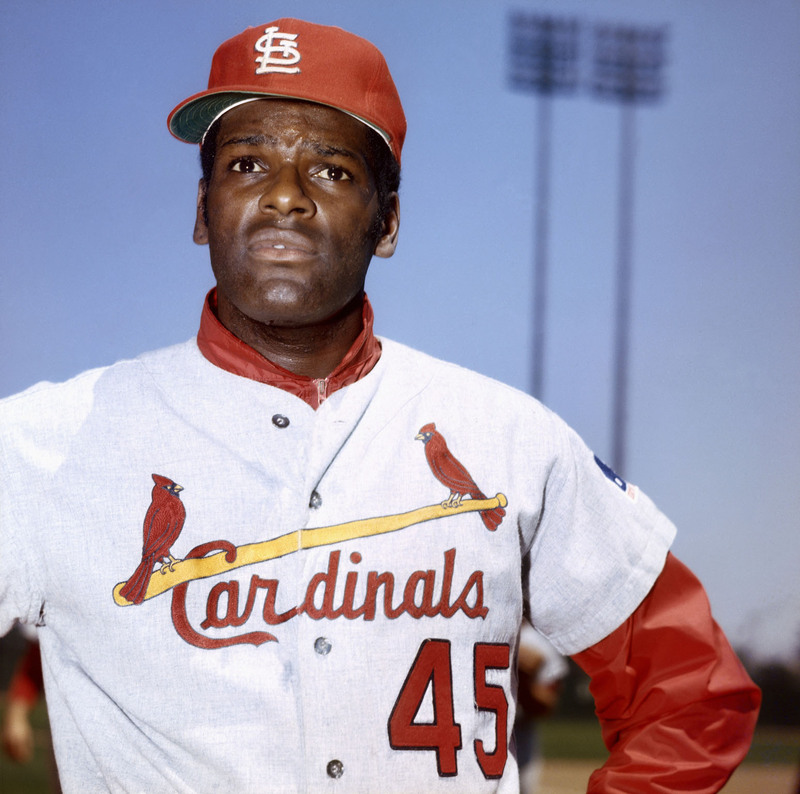 Perhaps you also could cite Bob Gibson‘s Opening Day start at Wrigley Field on that day, because it was the first such assignment in the Hall of Famer’s glorious career. Actually, though, it was not exactly how Gibson had imagined it. He was staked to a 5-0 lead by the Cardinals in the top of the first, then proceeded to exit after 3 1/3 innings, allowing five earned runs. The Cardinals and the Cubs would play to a 10-10 tie, in the days when there were no lights at the Friendly Confines. 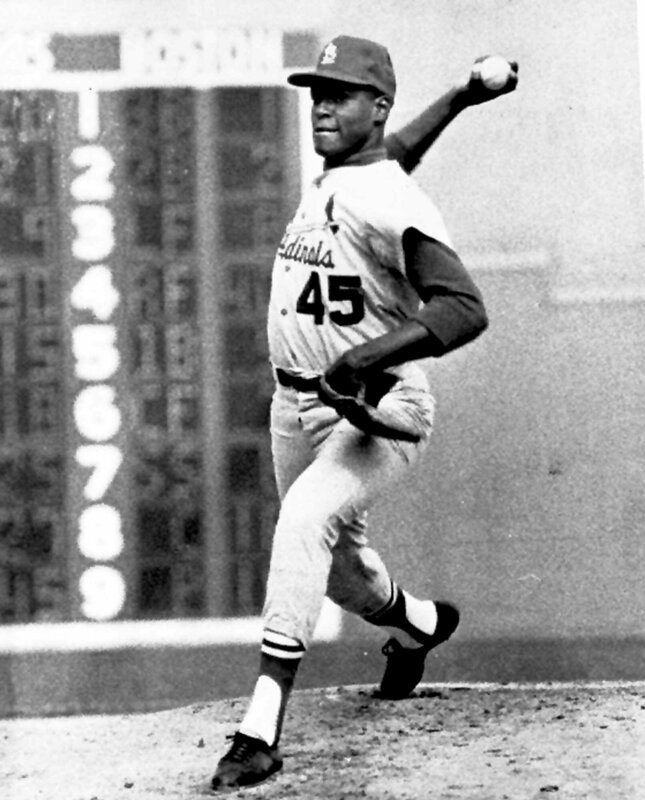 So let’s just move on to the one Bob Gibson Opening Day appearance we really want to talk about: 1967. First of all, a small proviso: choosing Gibby at No. 45 was not an automatic nod, at least not East of the Arch. Pedro Martinez started every Opening Day for Boston from 1998-2004, and his debut after coming over from Montreal was a thing of beauty, going seven scoreless and whiffing 11 A’s. Tug McGraw wore it well in Philly, and we recall John Candelaria’s 1978 shutout for Pittsburgh. This whole Opening Day Countdown Down Under exercise is about to get tougher with each passing day, another reason I hope you will feel free to speak up with suggestions in the comments. Now flash back to April 11, 1967. Gibson and fellow future Hall of Famer Juan Marichal of the Giants started in front of 38,117 at Busch Stadium. Gibson struck out 13 Giants, walked none and scattered five hits in a 6-0 shutout, and remember that a couple of Willies named Mays and McCovey were on the other side, combining to go 0-for-8 with four K’s.